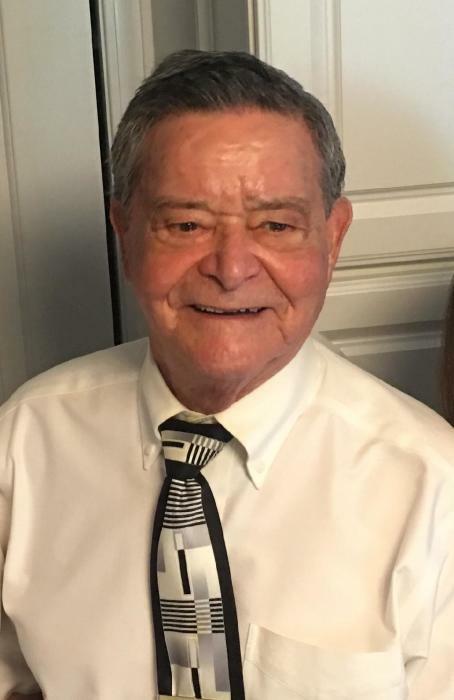 Angel Luis Burgos, age 90, went to his heavenly home, Friday, February 1, 2019. Angel was born on August 8, 1928, in Aibonito (I-bo-ne`-to), Puerto Rico, to Custodia Colon (Cologne)-Burgos and Basilio Burgos. He spent his childhood years with his Aunt Victoria Colon (Cologne) and Uncle Alfonzo Colon (Cologne), whom he loved dearly. He later moved to Chicago, IL, where was drafted into the United States Army. He served in the Korean War and was the recipient of the Purple Heart. After returning from the military, he settled in Chicago, married, and had four children, Bertha, Chris, Linda and Billy. He was later transferred from Chicago, IL, to Bennettsville, SC, while working as a supervisor at Essex Wire. It was during this time that he met and married Doris Porter. They were happily married for 22 years before she went to be with the Lord. Most people affectionately refer to Angel as “Grandpa Angel”. He was a kind soul who was loved and respected by all who knew him. He was described by everyone as a “such a sweet man”. He enjoyed being involved with his community and was a member of the VFW, Kiwanis, and the Brotherhood Church Group at Eastside Baptist Church. He loved baseball and, in his younger years, he coached little league baseball. He was a #1 Atlanta Braves fan. He never missed watching a game and personally attended several of their games. Church was his favorite place to go. He loved the good singing and preaching, and he loved his church families. His smile was contagious. He had a great sense of humor and was a good sport when he was often kidded about liking pretty “womans”. His accent brought a lot of smiles and laughs when he would often say “pretty gude” and “that’s lotsa better”. Some of Angel’s favorite past times were watching western movies, listening to gospel music, and playing word search on his Kindle. More than anything else, he loved the time he spent with his family and his special friend, Betty. He looked forward to family vacations, family get togethers at holidays, and phone calls, visits and cards from his family. Christmas was his all-time favorite holiday. He is survived by a sister, Julia (Hulea), Colon (Cologne) of Puerto Rico, and a special nephew, Rene. He had six children: Chris Burgos of Dekalb, IL, Billy Burgos of Iowa, Bertha Williams (Albert) of Dekalb, IL, Linda Miller (Cory) of Hampshire, IL,Peggy Springs (Jerry) of McColl, SC, and Susan Smith (Wade) of Quartzside, AZ. He had 14 grandchildren: Jeremy, Alicia, Megan, Molly, Jeri Lynn (Thom), Matt (Marydith), Tonia, Kori, Shawnda, Wilson, Billy, and Kelly. He also was blessed with 15 great-grandchildren. He was preceded in death by his beloved wife, Doris Porter Burgos, four brothers: Hose, Ramon, Delphen, and Ernesto Colon (cologne), two sisters Justine and Maria Colon, and a daughter, Barbara Burley (Chesapeake, VA). The family would like to thank Kindred at Home Health Care and Hospice of Scotland County for the wonderful care, love, and support they gave to Angel and the family. A special thank you to Dr. Jute for her indescribable compassion and care for Angel at the Morrison Manor. God bless you all. Thank you to all of his friends who showed him so much love and offered up so many prayers on his behalf. God heard each of them and honored those prayers. We are grateful for all of His many blessings and the time He allowed us to have with our earthly Angel. A funeral service will be held 1pm Monday, February 4, 2019 at Eastside Baptist Church in McColl, with burial in Rogers Cemetery, officiated by Pastors Roger Williams and David Shoemake. A visitation will be held from 6-8pm on Sunday, February 3, 2019 at Rogers Funeral Home. On-line condolences may be made @ www.rogersofmccoll.com. Rogers Funeral Home is honored to serve the Burgos family.